It is not clear whether the name Castro associated with the property relates at all to any particular family or individual living there at the onset of the house’s construction. The location of Villa Castro, however, suggests a connection with the toponyms of the area, Castro referring to a ‘fortified village’ on the edge of Malta’s great fault that served as an important fortification network. The house itself gives few clues as to its origin. There aren’t any distinctive signs visible on the walls of the property except for a single panel on the boundary wall below the tower, which presents a design of star, flowers and Maltese crosses. The house was most likely built in the 18th century, with later additions during the following century. 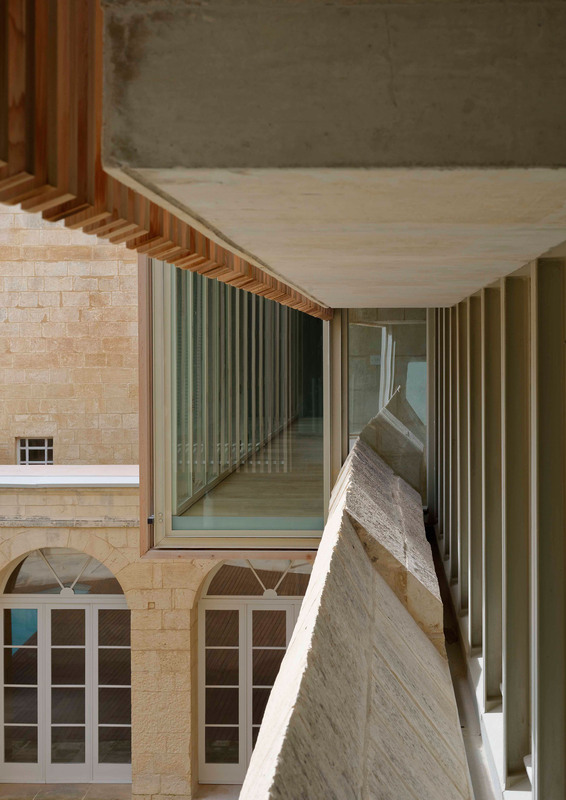 The first construction phase probably corresponds to the expansion of the original Naxxar settlement, started in the second half of the 17th century following demographic migrations from the harbour area as a consequence of the saturation of the building stock of the new town of Valletta. 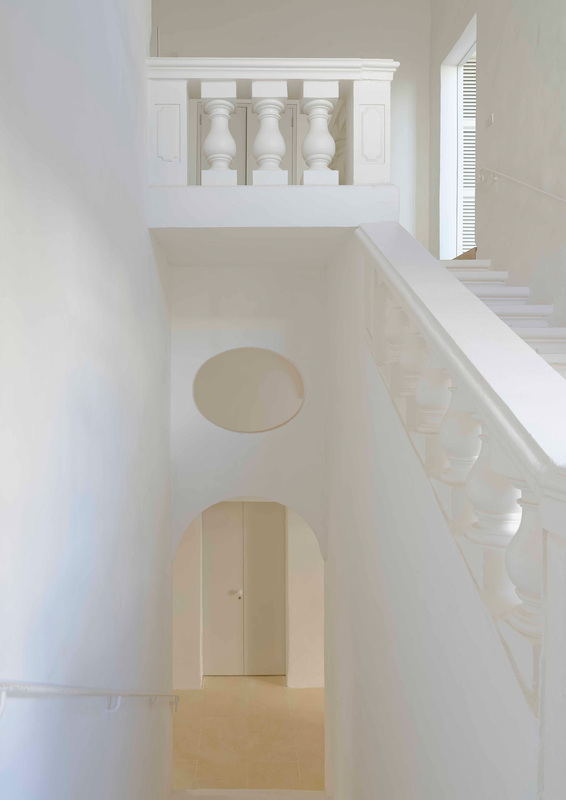 The architectural style adopted is simple and austere with little ornament, and the house does not have the imposing façade of traditional 18th century town-houses. However, one half of the façade on Triq Castro, clearly distinguished on the first floor, presents a later style, with pronounced cornices and pilaster. Interestingly the first floor cornice is interrupted, and does not carry onto the façade overlooking the terrace, suggesting that there might have been plans to build over the terrace at a later stage. The garden, unfortunately mutilated, was organised on the basis of the ideals of classical composition, exemplified by the orthogonal disposition of paths that define square planted areas, and the use of four identical doorways flanked with pilasters and overlying pediment. The style of the four portals that mark the axes of the garden courts is restrained and is typical of the classical overtones of the French Baroque. The garden is located on top of an extensive network of large water cisterns with a wellhead located in the entrance of the house. The presence of stone water channels on the perimeter of the planted areas is a witness of traditional irrigation practice. These were preserved and reinstalled around the planted garden area. Also, all external stone pavement consists of old stone slabs which were found in place, reclaimed, stored and newly laid. The project programme was organised around the needs of the family and guestrooms to accommodate relatives and friends. The garden, as well as the two internal courtyards, were preserved and, following an unsuccessful attempt at acquiring the remaining portion of the garden immediately adjacent to the existing one, an extension was designed and grafted on the boundary wall to mitigate the negative visual impact of the recent neighbouring block of apartments. 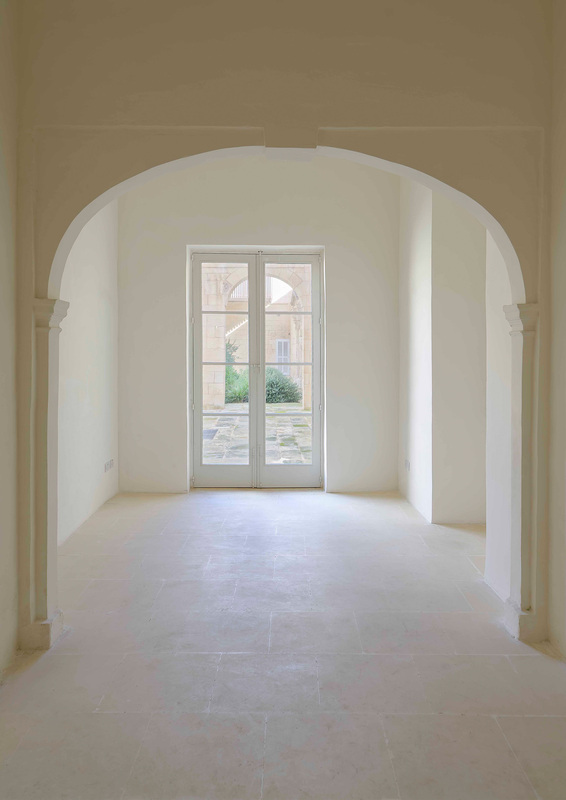 The restoration element of the project entailed the securing of dangerous parts, the removal of inserted structures and accretions which conflicted with the authentic organisation of space or with the clarity of architectural form, the reopening of blocked arches and the introduction of a few additional openings to allow firstly for more light into the building and, secondly, to strengthen the already well defined symmetry of the garden and courtyard facades. 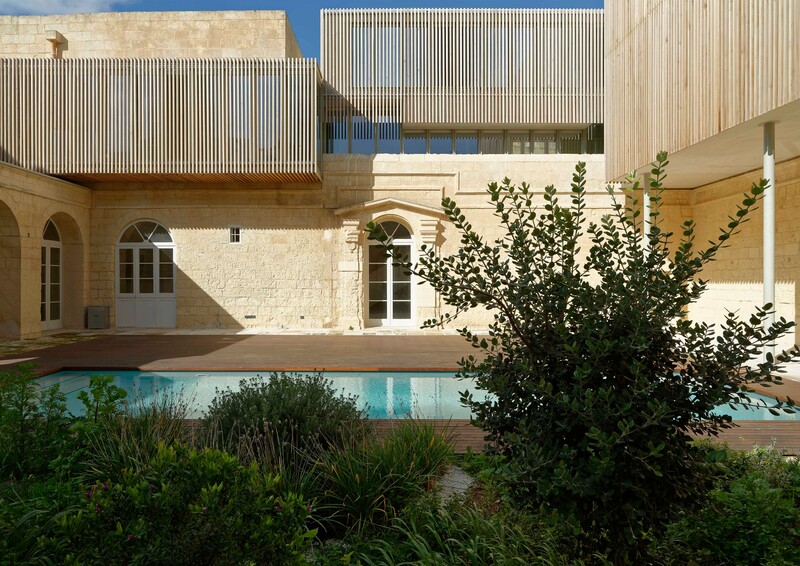 The same principle guided the organisation of the external areas, with the garden, the decking and the pool retaining the central axes of the garden. 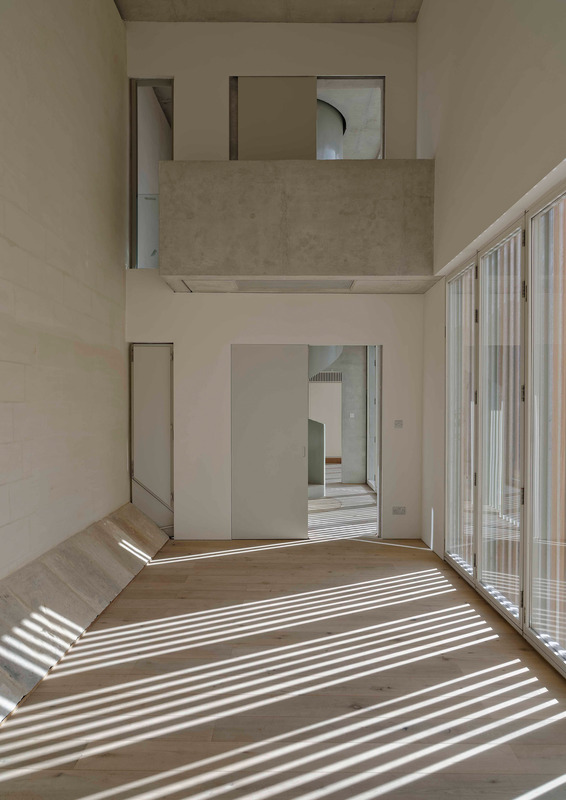 Furthermore, the project programme required the villa to be revitalised as a family home with enough space for the grandparents and friends to stay over during their frequent visits to the island. 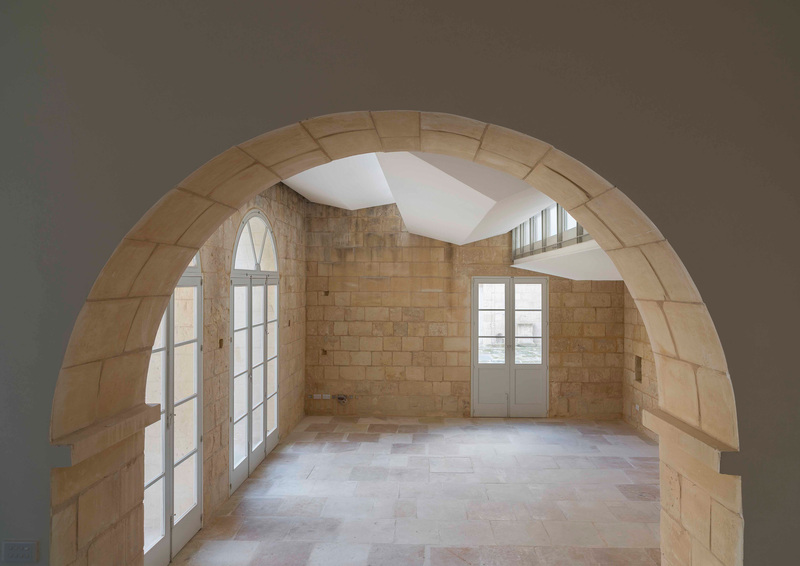 The existing spaces were organised accordingly, leaving the ground floor for living, play and entertainment, a vital space especially in view of the fact that the family has a strong music tradition. In order to connect better the spaces internally and to diffuse the boundary between indoor and outdoor living, one of the smaller courtyards was roofed over and turned into a conservatory. The upper floor is entirely dedicated to individual bedrooms. 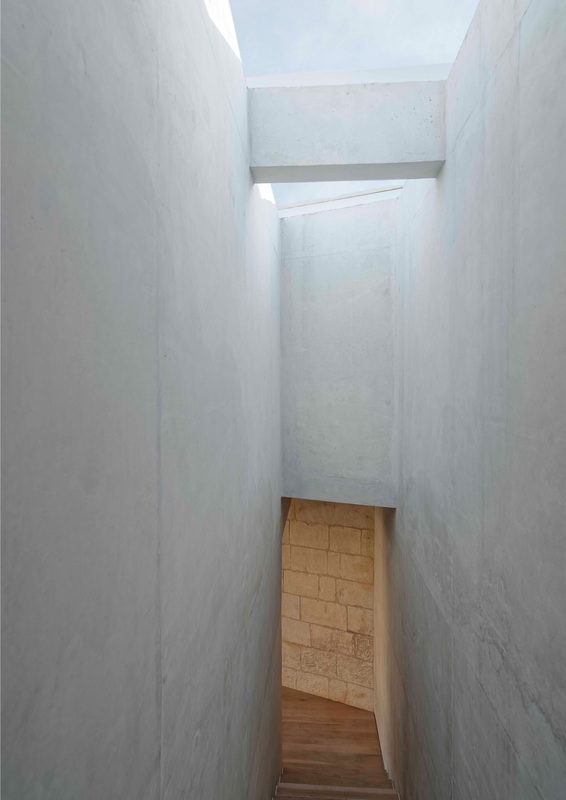 Since the depth of the old annex structures is very narrow and rooms typically distributed in an ‘enfilade’ arrangement, an external access balcony was added replacing an existing open balcony probably introduced during the second half of the 20th century. 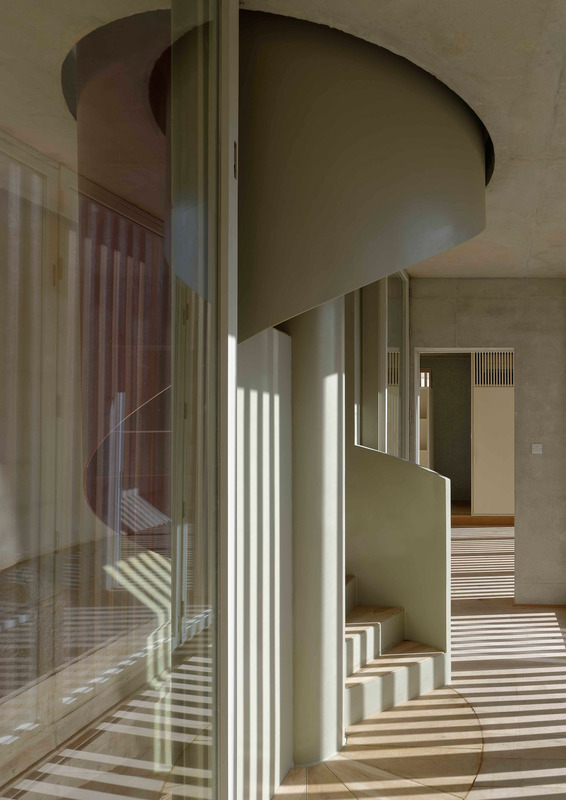 Moreover, a new stairwell designed in a contemporary language was introduced in an existing back yard to link the long string of rooms aligned along the perimeter, as well as to create space for another bedroom above it. 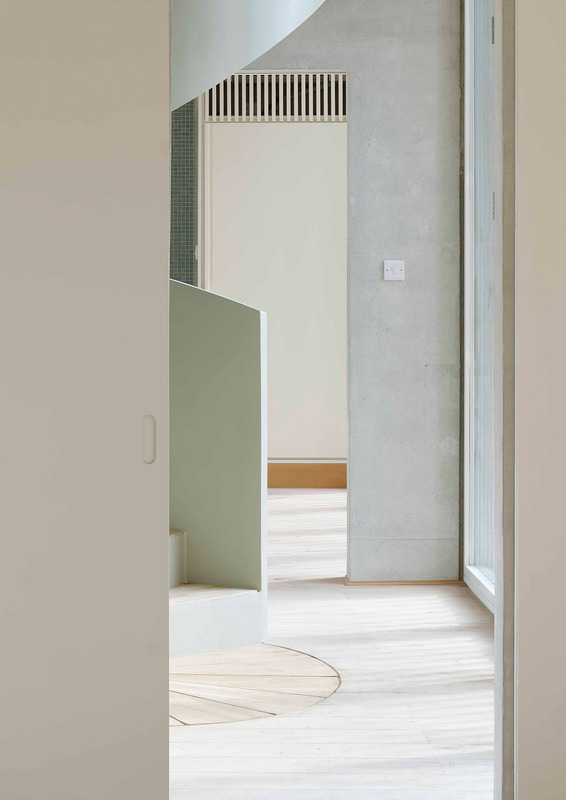 A new extension was built with just enough thickness to house guest quarters that tower over the garden and screen off the new development while closing off the composition of the garden and defining its end facade. They are, however, lifted over the ground on slender columns in order not to obstruct the cornices and pilasters and the pediment of the gate which once led to the garden beyond. 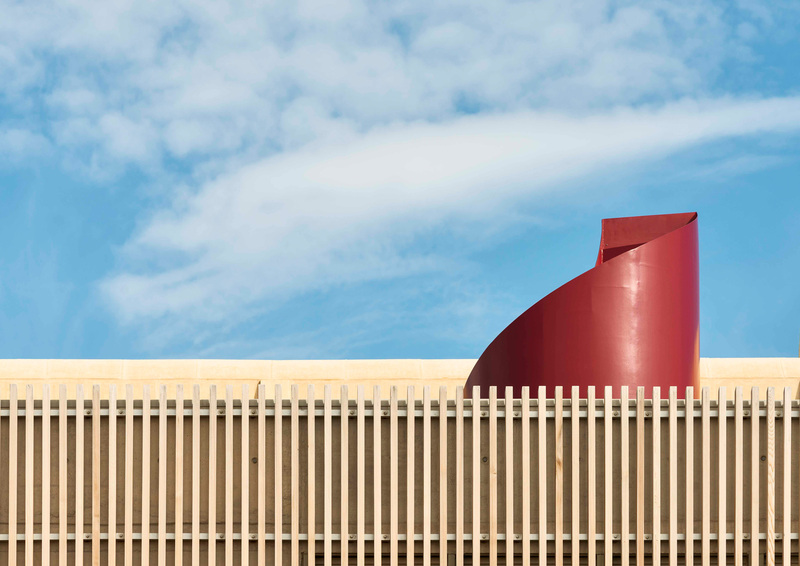 All new extensions were conceived as simple volumes and are defined and positioned to compliment, and coexist with, the existing building. 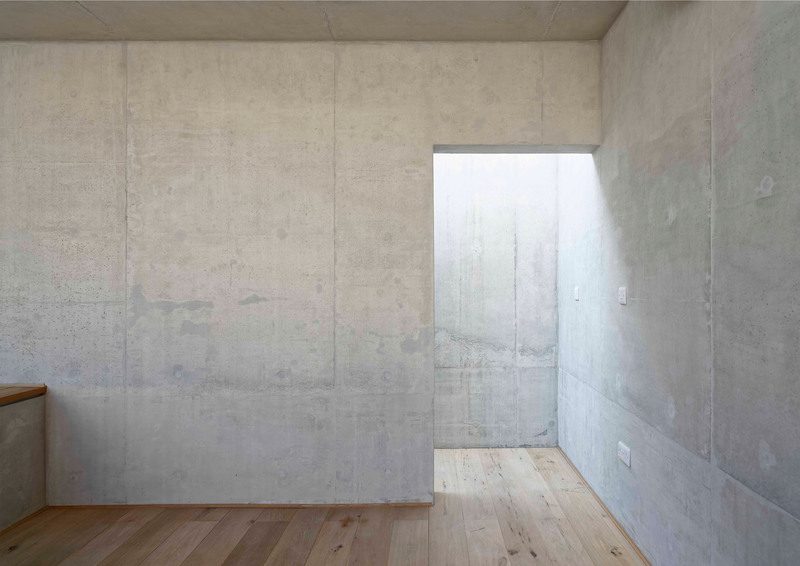 They are treated in such a way as to allow maximum light on the inside while retaining a monolithic appearance from the outside in sympathy with the old building. 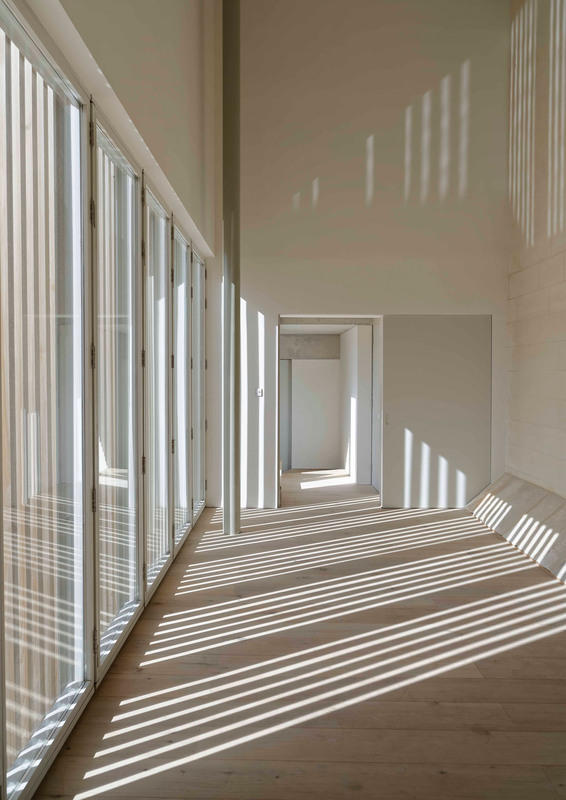 Although almost entirely glazed, this is achieved by means of a dense wooden screen, creating a composition based on the contrast of materiality. 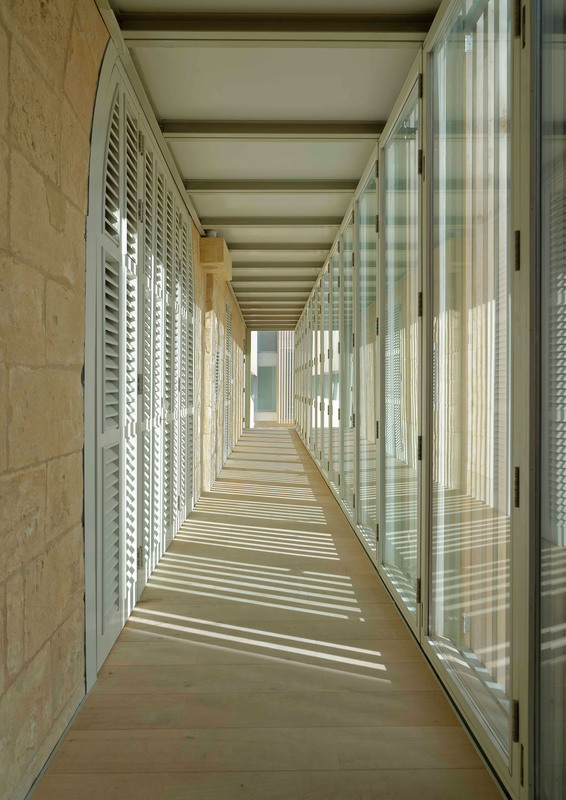 The screens are made from American cedar, which will, over time, acquire a natural protective patina of silvery grey that blends in with the limestone surfaces of the old house. 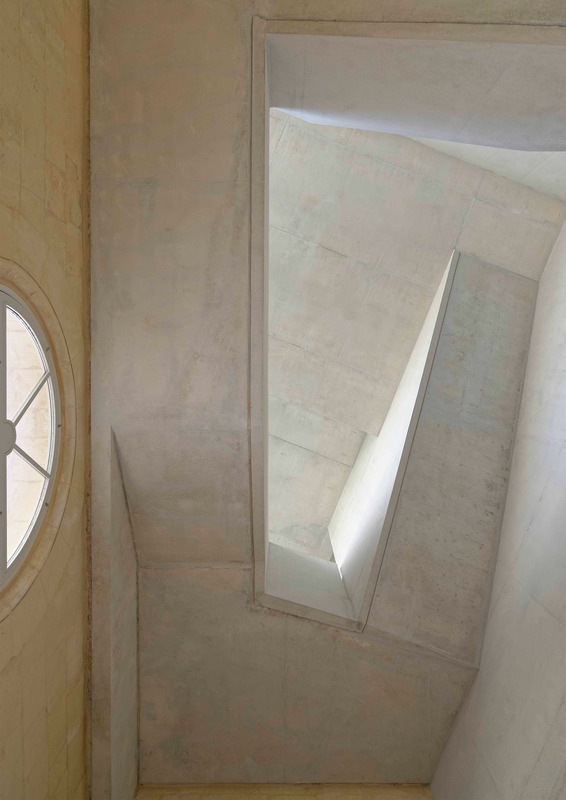 Like all projects that involve the rehabilitation and extension of old structures, time is an important element of the composition of which the building is made, and that will unravel with time. Julian Vassallo: 1-2; Alex Attard: 3-19.